Why Does Limescale Add to Energy Bill and How to Counter Limescale? The University of Plymouth recently carried out research which found that a boiler with no limescale took just 90 minutes to heat a home. It then tested a boiler with 10mm of limescale and found it took more than 6 hours to do the same thing. This proves that if you got a limescale problem it can add hundreds of euro per annum to your energy bill. Indeed the Carbon Trust in the UK says that every millimetre of calcium carbonate on a boiler system increases energy consumption by seven percent. However limescale will not just add to your energy bill can also be very damaging on electrical appliances and can cause the element and other internal components to fail. If you live in a hard water area you are much more likely to have issues with limescale. Hard water runs through chalk or limestone and picks up minerals such as calcium and magnesium carbonate before it arrives at your tap. Whilst many say hard water tastes better it will coat the heating elements of your boiler and appliances and clog up pipes which could result in costly damages. One simple way of testing for hard water is by using water and washing up liquid. 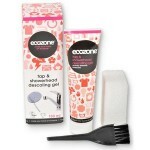 1: Get a clean empty plastic bottle and remove cap. 4: Put on cap, tighten and shake well. If it doesn’t foam up but instead creates a milk-curd like film on the water surface your water is probably hard and you most likely have issues with limescale. How do I to Treat Limescale and deal with Limescale Problems? You can create a cleaning paste using half a cup of baking soda and quarter a cup of white vinegar. Apply paste to location and leave for half an hour. Scrub away and wipe clean with a towel. 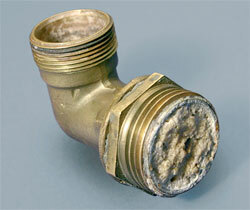 This is a temporary solution and is no good to you if you want to clean the boiler or the pipes. 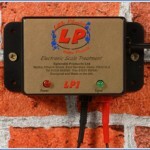 Using computerised microchip technology the electronic water descaler removes limescale and softens hard water. Once installed it will also help to prevent limescale from forming. Once installed you will notice your energy bills decreasing and enjoy water which is less harsh on your hair and skin. Simply place Magno Balls in your dishwasher or washing machine and the magnetic power crystallises limescale particles in the water preventing them from settling in your clothes or clogging up the heating elements in the pipes. By using Magno Balls you should be able to wash your clothes at a lower temperature and use up to 70% less detergent. The Tap and Showerhead Descaling kit comes with a tube of descaling gel designed to cling to surfaces and actively dissolve limescale. It also includes a specially designed brush to carry out the descaling process and a sponge to wash away the gel at the end of the process. 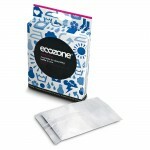 Use it on taps, showerheads, tiles, shower surround and even water drip stains or the surround of kettles or kitchen pans. Each packet of Kettle and Iron Descaler contains three sackets made from non-toxic chemicals and will effectively remove limescale deposits on two of your most used electrical appliances. By descaling these appliances the water will heat more efficiently saving on your energy bill. It should also help to prolong the lifespan of the appliances. 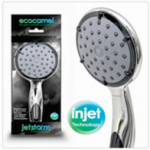 These water saving aerated showerheads from Ecocamel are designed to reduce the water flow in your shower without compromising the water pressure. Not only that but the new Jetstorm model has a new faceplate and wipe clean rubber nodules which help prevent the build up of limescale. Your landlord will be obliged to ensure that your rad, boilers, showers and toilets are working properly so it really is something that you should bring up with them Mick.